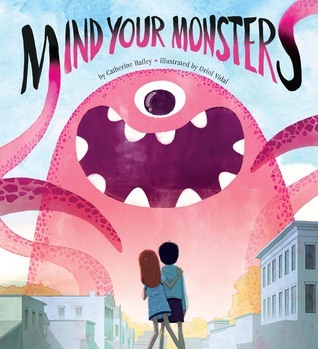 Mind Your Monsters by Catherine Bailey, illustrated by Oriol Vidal, has a modern style of illustration that brings neighborhoods to life, even as the monsters surface from behind buildings. These monsters are wreaking havoc in town, terrorizing parents and children. 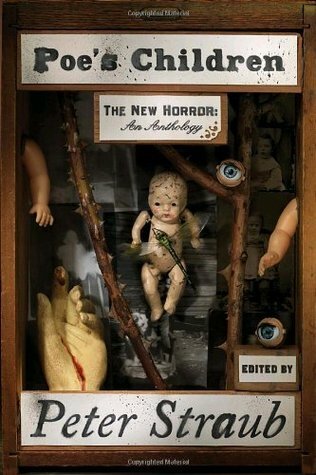 From zombies and vampire bats to one-eyed and furry monsters, people are unsure how to handle these monsters and their destruction. Turned over cars, chewed up mailboxes, and more. Parents are scared for themselves and their children, and without a solution in sight, they are prepared to leave town. Wally decides that he’s going to take a different approach. He’s going to talk to them. When that doesn’t work, he throws his sister at the monsters because he considers her evil enough to fight them — or so it is implied. He employs other tactics, using tricks and treats, lollipops, and more. When the parents make the decision to leave, their escape is blocked by a giant ogre. Everyone is fearful and wants to run, but there is no escape and no where to run to. Wally, in a desperate plea, asks them to please stop terrorizing the town. Through the use of his manners, he’s able to get through to the monsters. The monsters stop making messes and begin to cleanup. 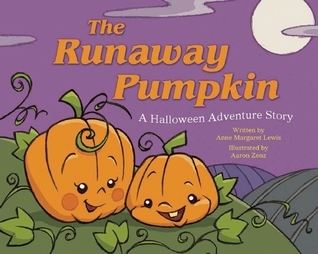 The Runaway Pumpkin: A Halloween Adventure Story by Anne Margaret Lewis, illustrated by Aaron Zenz, features adorable pumpkins. The single-toothed pumpkin boy is dreaming big in this story, and while he talks of running off to play mummy or fly on brooms with witches, his mother is supportive. Although she wants to protect him from the things that go bump in the night, his mother is aware that kids want independence and want to grow up faster than their parents are ready for. She knows that without his blanket he’ll be scared at night, so she offers to pack it for him. Her support does not go unnoticed by the little pumpkin. We’ve probably read this more than a few times since it’s come into the house, but she loves the adventures of the little pumpkin. Her favorite parts are when we see his mother watching over him from under the straw on the hayride or in the distance behind some bushes. It’s like a little game of hide-and-seek. By the end of the book, we’re both ready to enjoy the adventures of both mother and son pumpkin. The Runaway Pumpkin: A Halloween Adventure Story by Anne Margaret Lewis, illustrated by Aaron Zenz, is cute and has a great message about giving children some independence to think and do on their own, but it also cautions that parents need to be ready in the wings to step in when they are needed. My daughter’s favorite parts are when the little pumpkin dresses like a pirate and wears a fake mustache. 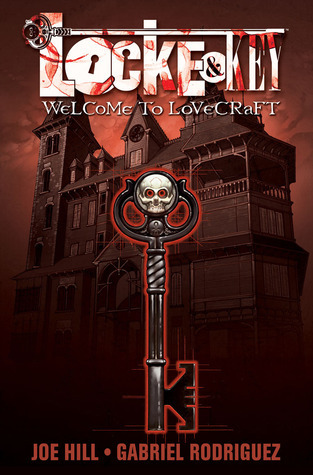 Locke & Key: Welcome to Lovecraft by Joe Hill, illustrated by Gabriel Rodriguez, is part one in a series of graphic novels about a mysterious house and its locked rooms. Keyhouse is an unlikely mansion in the Massachusetts town of Lovecraft, and it sits on an island separate from the rest of the town. It’s a clear set up for a horrifying tale. The three Locke children are left with their barely functioning, alcoholic mother when their father is murdered at their summer cabin outside San Francisco. The family starts over across the country, only to be caught in a web of darkness they can’t see until it’s too late. Tyler is struggling because he blames himself for his father’s murder. He never could please his father, and they often argued, but he did not really want his father to die. Bode is the youngest, and he escapes the sorrow through his imagination, flying around the Keyhouse as a ghost, while his sister, Kinsey, struggles to remain unseen by everyone in their new school. What these kids are unaware of are the childhood antics their father and uncle used to get up to as children in Keyhouse, and even their mother is only mildly aware of some stories. Rodriguez’s artistry is gritty and the violent scenes are well rendered. The ghost-like characters are gorgeous, swirling as they move from place to place. Locke & Key: Welcome to Lovecraft by Joe Hill, illustrated by Gabriel Rodriguez, is a great opener to this dark fantasy series, and the twists and turns are unraveled a little at a time to keep readers on their toes. There are dark forces at work in this house, and they will stop at nothing to open all of the locked doors. Joseph Hillstrom King is an American writer of fiction, writing under the pen name of Joe Hill. Hill is the the second child of authors Stephen King and Tabitha King. His younger brother Owen King is also a writer. He has three children. Hill’s first book, the limited edition collection 20th Century Ghosts published in 2005 by PS Publishing, showcases fourteen of his short stories and won the Bram Stoker Award for Best Fiction Collection, together with the British Fantasy Award for Best Collection and Best Short Story for “Best New Horror”. In October 2007, Hill’s mainstream US and UK publishers reprinted 20th Century Ghosts, without the extras published in the 2005 slipcased versions, but including one new story. Architect, artist and illustrator. He started his career with myth based illustrations for card games, and then jumped into the world of professional comics working with IDW Publishing. In addition to his current work in Locke & Key, his collaborations with IDW include Clive Barker’s The Great and Secret Show, Beowulf, George Romero’s Land Of The Dead, as well as several CSI comics and some covers for Angel and Transformers. 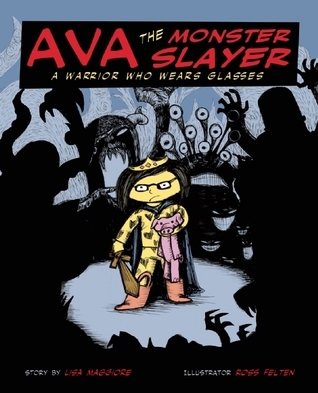 Ava the Monster Slayer by Lisa Maggiore, illustrated by Ross Felten, is another hit with my daughter with its comic book style illustrations. It’s like a beginner’s comic book. She is hooked. Ava is a young girl with a favorite stuffed animal and an active imagination, which is fueled by the stories of her older brother. When her mother tells her that her stuffed animal is in the dryer, she is determined to save him from the monsters in the basement. She transforms herself into a monster slayer with a cape, a crown, and pink rain boots when she realizes that she’s on her own in her quest. There are action sequences, moments of tension in which Ava’s confidence is shaken, and large old-school “Pow” and “Wham”-type exclamations. 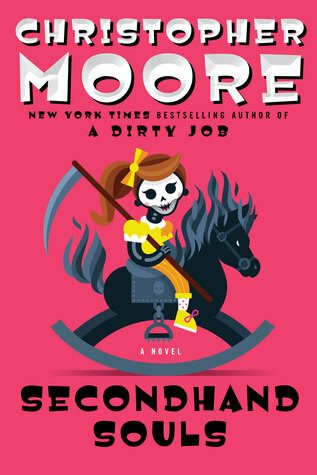 She is on a mission to save her friend, Piggy, despite the dangers. Ava the Monster Slayer by Lisa Maggiore, illustrated by Ross Felten, is an origin story, and it seems as though there are more adventures to come for Ava. My daughter adores these adventure stories, and this one has great illustrations. Monster Trouble! by Lane Fredrickson, illustrated by Michael Robertson, was a big hit. Winifred Schnitzel has an active imagination and is fearless, even when monsters arrive in her bedroom. Like my daughter, she loves Halloween, monsters, and ghouls, but what she doesn’t like is interrupted sleep. She tries to ignore their noises and their distractions, but it’s of no use. The more the monsters come and visit, the sleepier she is during the day. She can’t even have fun. 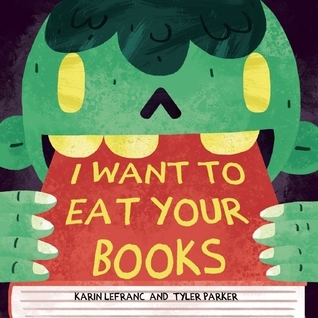 While the immediate subtext for adults is that this child who loves monsters is having dreams that keep her from achieving full rest — they might be nightmares. Parents can use this story to teach little ones about being strong and taking care of their nightmares with their imaginations. Winifred uses a Monsters Beware book to lay traps, use smelly cheeses, and more to get the monsters to leave. But the biggest weapon she has is her love for all that’s ghoulish. Monster Trouble! 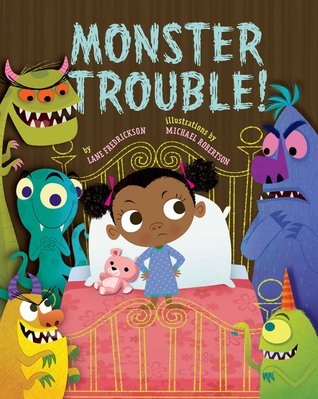 by Lane Fredrickson, illustrated by Michael Robertson, has been read more than once, and my daughter adores the colorful “scary” monsters and the traps Winifred sets for them. We were giggling as the monsters get trapped and outwit her, until finally she turns on the love. Wintergirls by Laurie Halse Anderson, narrated by Jeannie Stith, is an extremely disturbing look at the mindset of a teenager caught in the grips of anorexia. Cassie calls Lia a wintergirl, a girl living between life and death with a beating heart but not really living. Lia and Cassie are no longer friends by the time we meet Lia, who is trapped in a world of counting and restraint. Like her mother, Lia wants to be in control and she keeps her feelings bottled up inside. Her parents are frustrated, and Lia’s frustrated with herself because she cannot be thin enough, she cannot escape Cassie’s taunting, and she cannot change. 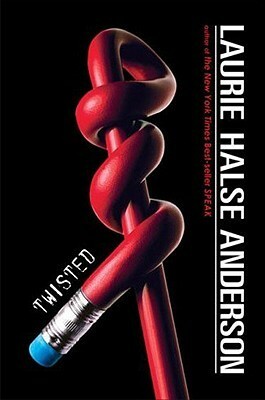 Her parents are as trapped as she is, but Anderson has crafted a narrative that forces the reader to be trapped with them. Lia’s plight will make readers uncomfortable, especially if they have ever thought they were too fat or unpopular. Most teens have been bullied for one reason or another, but Lia’s problems go deeper than what her peers call her — the biggest problem is what she calls herself and how she hates herself when she eats, when she doesn’t act “normal,” and when she fails those around her and herself. This is a harrowing tale and a nightmarish narrative that will shake readers from their complacent ideas about anorexia. 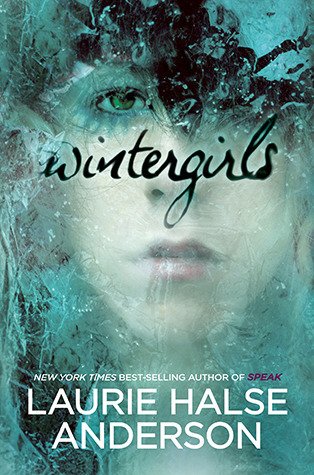 Wintergirls by Laurie Halse Anderson, narrated by Jeannie Stith, is disturbing and world-shaking. Anderson is a powerful writer who understands teens very well, and her stories are relevant and worth reading for adults and teens. While the subject matter may hit too close to home and concern parents that teens will take the narrative to heart and begin their own anorexia journeys, these are the books that are here to challenge our way of thinking, to make us reassess our perceptions of these disorders, and incite us into action. I read this for Banned Books Week. The Color Monster: A Pop-Up Book of Feelings by Anna Llenas is a wonderful use of paper art and color. Imagine a gray scale world in which the monster is the only one in color, and his rainbow of color signifies that his emotions are out of control. This young lady has the patience of a saint as she kindly explains the situation to the monster and they set off together to sort out his emotions. The young lady and her monster go through the book sorting out the emotions by color into jars from the sunshine of happiness to the blue rain clouds of sadness. In addition to using paper art, these pop-out images also utilize other materials, including string. And by the end, she and her monster uncover another emotion, one that they haven’t even labeled, which is accompanied by pink hearts. 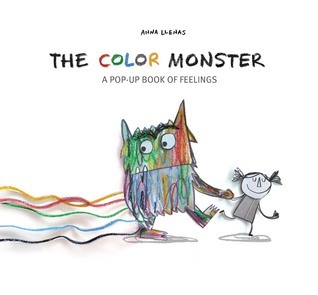 The Color Monster: A Pop-Up Book of Feelings by Anna Llenas is delightful to look at and read, but it also is a great tool for helping young kids sort out their emotions.